Everyone is welcome to attend our meeting Saturday February 22nd at 9am - Hardee's of Pittsburg!! 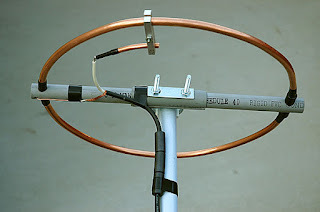 Spring is almost hear and that means getting outside and working on antennas! Either fixing damage from winter or putting up a homebrew! 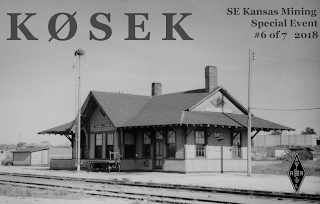 Come to the meeting Saturday and throw your ideas around and maybe get some good tips! Also, be sure and check the Club Calendar page. You can get there under SEKARC LINKS on the left column! 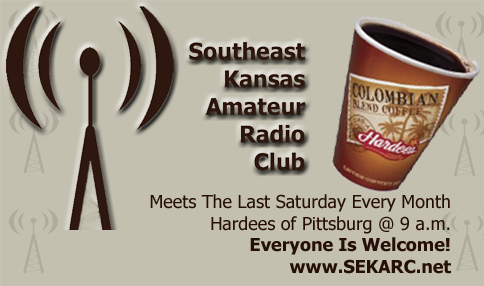 We have area FM and Digital nets, national HF nets and meeting info from Starbucks to Hardees!